Angelique Kerber celebrates her third Grand Slam title. Serena Williams will have to wait to equal Margaret Court’s Grand Slam singles record after she was comprehensively beaten by Angelique Kerber in a delayed Wimbledon women’s final. 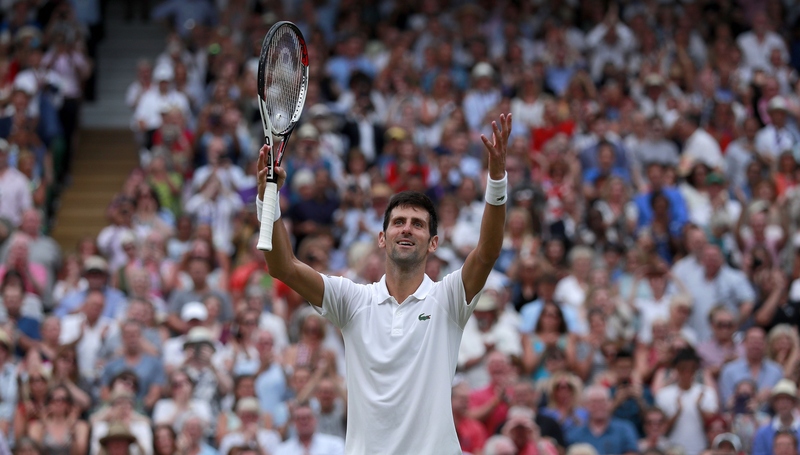 Williams struck the first serve of the contest at 16:16, more than two hours later than normal, following the conclusion of the men’s semi-final between Novak Djokovic and Rafael Nadal. But just an hour and five minutes later, Kerber was celebrating a 6-3, 6-3 victory and her first Wimbledon title. Kerber said of her win: “It’s just a dream come true. With the Duchesses of Sussex and Cambridge in the Royal Box and Tiger Woods, Lewis Hamilton and Anna Wintour among those supporting Williams from her box, the stage seemed set for sport’s most famous mother to write another remarkable chapter. 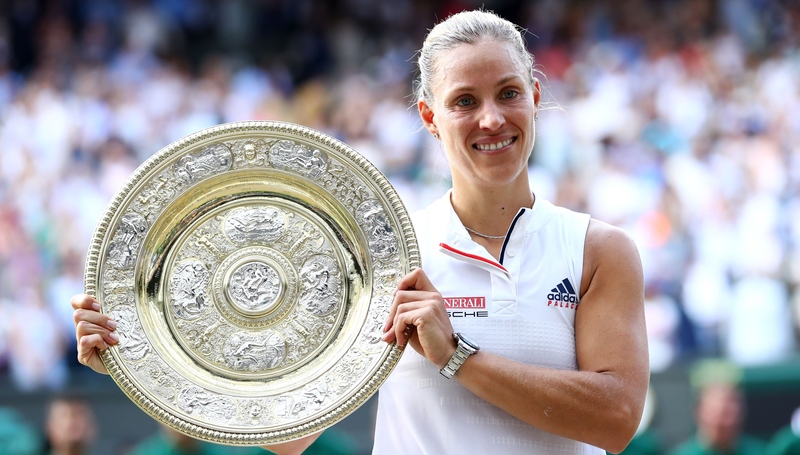 It was a rematch of the 2016 final, which Williams won, but this time there was no doubt who was the better player and Kerber was able to celebrate her third Grand Slam title, becoming the first German singles champion at Wimbledon since Steffi Graf in 1996. Kerber defeated Williams to win the Australian Open in 2016 and then, after losing here, lifted the trophy at the US Open. Last year was a real struggle for Kerber so it was no surprise she was so emotional at the moment of victory. As Williams said after her semi-final victory against Julia Goerges, there was nothing normal about her being in a 30th Grand Slam singles final 10 months after giving birth to daughter Olympia and suffering life-threatening complications. 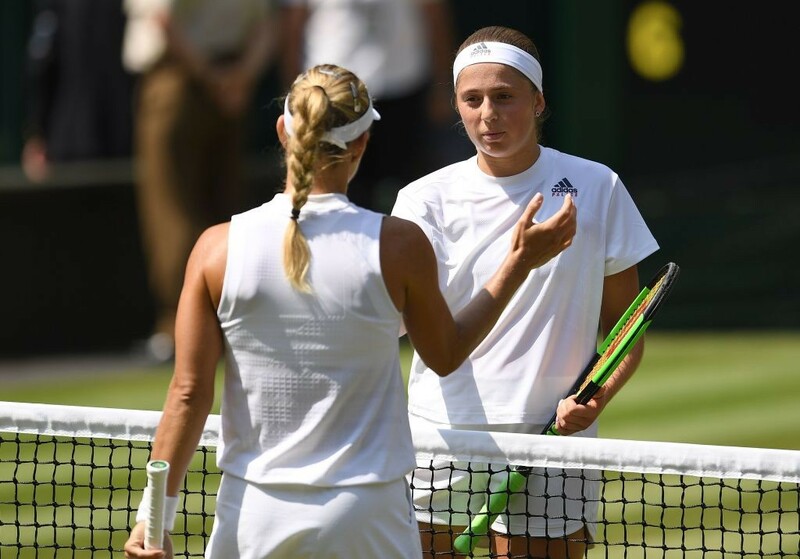 But so superbly did she play against Goerges that it was no surprise to see her made favourite against Kerber, who had been equally impressive in her own run to the title decider. The 30-year-old gave Williams a very different test to what had come before, with Kerber among the leading counter-punchers in the game. Her ability to retrieve a huge number of balls would put the focus on her opponent’s footwork and physical resilience. Playing her first slam final since the 2017 Australian Open, which she won while two months pregnant, in only her fourth tournament back, it was perhaps no surprise that Williams started nervously. She recovered from 2-0 down to lead 3-2, clinching the fifth game with a 125mph ace, the fastest serve of the women’s tournament. But, rather than pull away, she became tentative again, dumping volleys in the net and unable to match the consistency of Kerber. Urged on by husband Alexis Ohanian and her celebrity supporters, Williams upped her aggression and noise level, nearly taking out her opponent with a thunderous drive volley in the third game of the second set. But Williams seemed unsure how best to break down Kerber, and the next point saw her inexplicably pat a volley back that should have been the simplest of put-aways and pay the price. All she could do was smile. 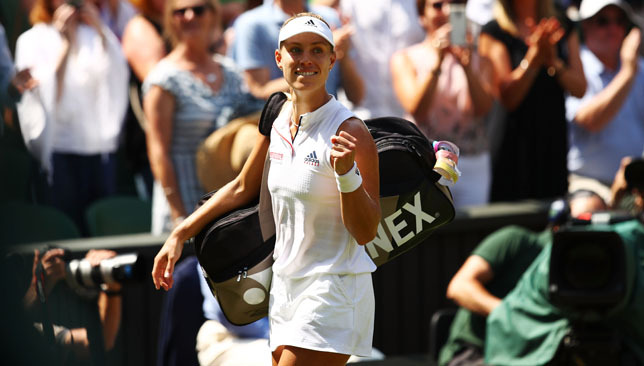 There was no doubt in Kerber’s mind, though, and she produced a series of superb points to break the Williams serve for the fourth time in the match and move 4-2 in front. Williams tried everything to get back into the match but her afternoon was rather summed up by the drive volley she placed over the baseline in the final game after a stunning rally.